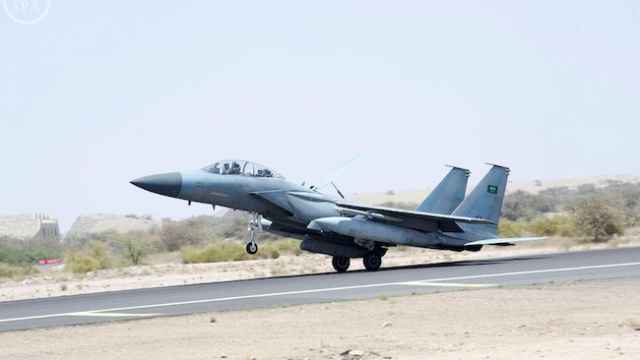 An air strike on a village near the Yemeni capital Sanaa killed a family of nine, residents said Saturday, in what appeared to be a hit by the Saudi-led military campaign against Houthi militia. Five other people were wounded and some citizens remained under the rubble, state news agency Saba said. 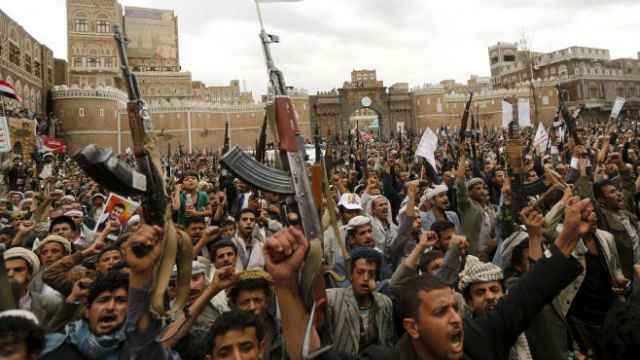 The operation by Saudi Arabia and other Sunni Muslim states is aimed at stopping the Iranian-allied Houthis and former president Ali Abdullah Saleh winning control of Yemen, and at reinstating Saudi-backed President Abd-Rabbu Mansour Hadi. 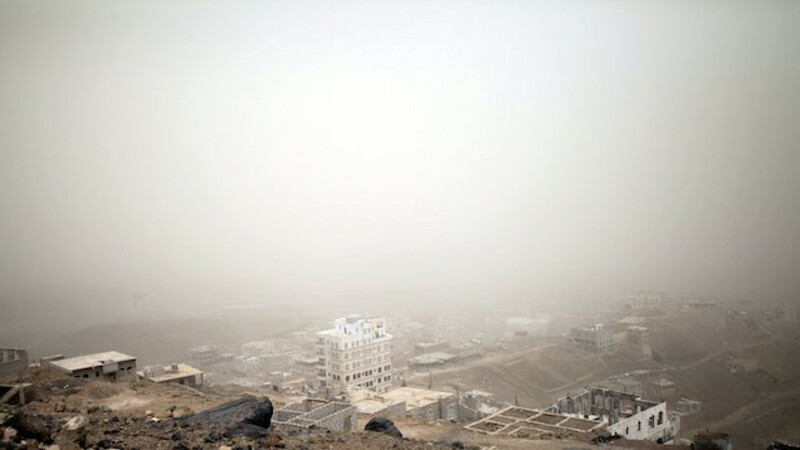 Residents near Okash village, which is near an air force camp on Jebel al-Nabi Shouieb mountain, said the air strike was on Friday night and killed nine people. Saba said the family consisted of two men, a woman and six children. It posted a picture on its website showing three children lying next to each other with pieces of papers with the date April 3, 2015 written on them. The authenticity of the photo could not be immediately verified. The United Nations Security Council will meet on Saturday after Russia called for a meeting to discuss a proposal for a humanitarian pause in the air strikes on the country. 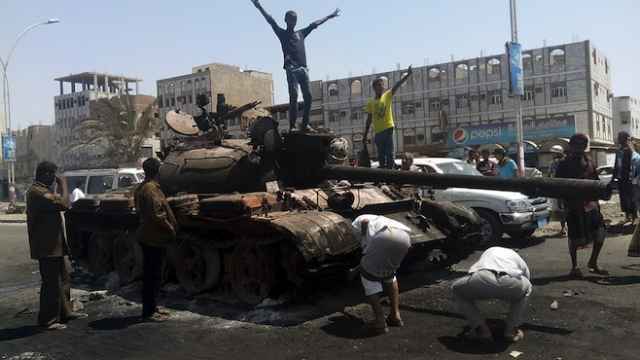 Yemen President Abd-Rabbu Mansour Hadi fled Aden last week in the face of the Houthi offensive, which has continued to advance despite nine days of air strikes by the Saudi-led coalition aimed at driving back the Houthis and restoring Hadi's authority.